With the NOVA Axess introduces a cargo lift without a lift pit which also allows passenger transport. If required, Axess can deliver the lift complete with a steel shaft. 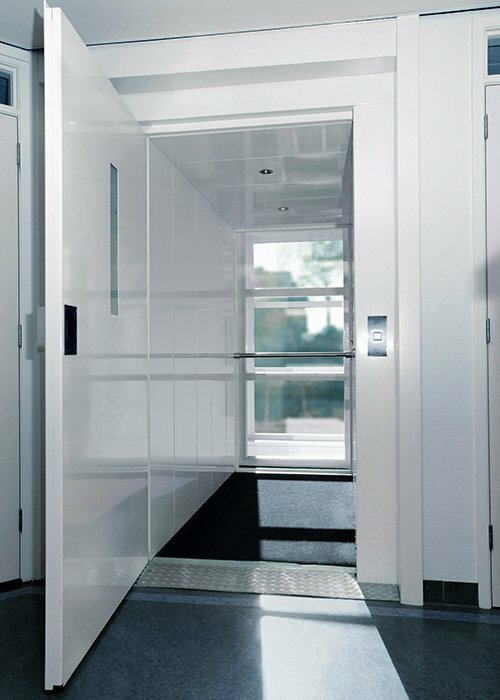 In this way, the NOVA Goods Lift PRO can easily be fitted into any building, new or existing, without any structural preparations. 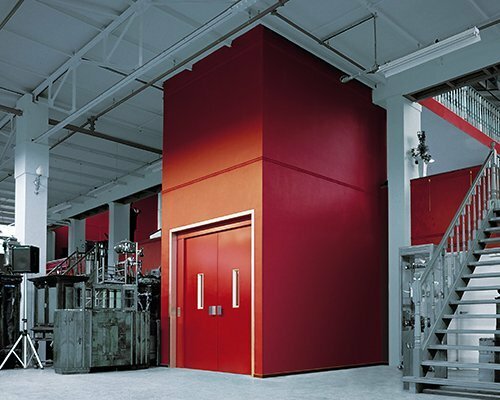 As with most Axess lifts, it is modularly constructed on site. Axess helps you to make the floors of your building easily accessible. 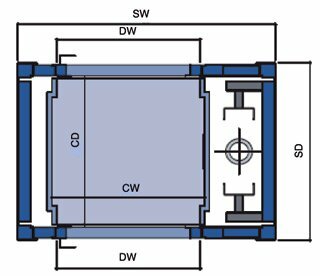 The NOVA Cargo lift PRO has been developed under the Machinery Directive and has a speed of 0.15 m/sec. 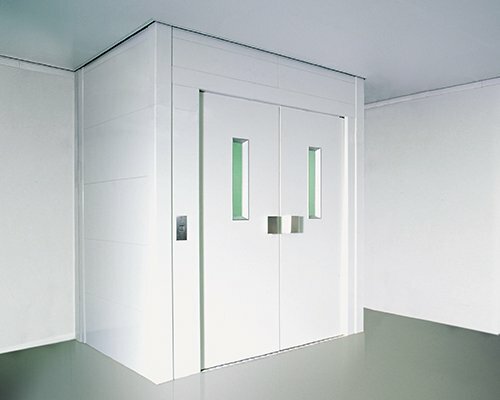 Axess offers extensive options to fully customise the look of the lift. 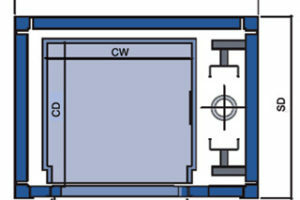 For the full transportation of goods, a steel or non-slip floor can be chosen, combined with reinforced cabin walls in various colours. A recessed lighting fixture, covered with impact-resistant plexiglass, is delivered as standard. Accessories such as protective strips are available in various versions. The NOVA can be used for various purposes. 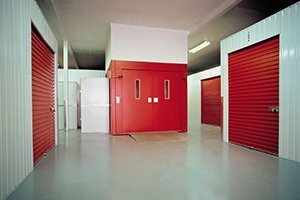 First of all, of course, to make floors in commercial buildings suitable for the storage of goods. 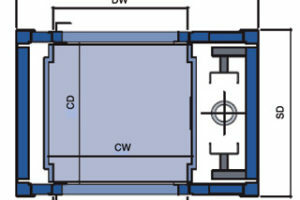 In addition, the NOVA is often used as a bed lift in residential buildings or healthcare institutions. The NOVA is also an excellent alternative in premises where the installation of a traditional passenger lift is, for structural reasons, not possible or cost-effective. 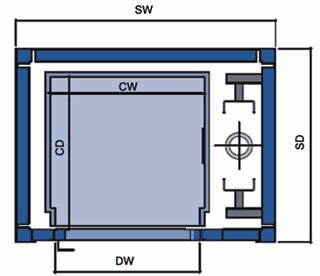 The floor recess must be 60 mm larger at all edges than the gross shaft size and 80 mm deep as standard.